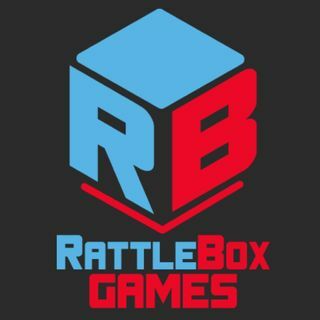 Rattlebox Games is a small collective of game designers just outside Chicago, IL. We make podcasts, too. Game Fight is a trivia challenge where two teams of analog gamers take each other on to determine who is the ultimate gamer in the universe. Currently we are also running the March Board Game Throwdown until April 4th 2017, check out today's matchup! Brought to you by Rattlebox ... See More Games. Install from Heap is an Android: Netrunner podcast from Rattlebox Games about jank, deck-building, and cyberpunk nonsense. Hosted by Brendan RIley. The Matter of Draig is a real-play Dungeons and Dragons podcast set in the mystical Kingdom of Draig. Our game style merges serious fantasy adventure and laughs for a game that the whole family can listen to. Join us every other Tuesday as we reveal the Matter of Draig. Brought to you by Rattlebox Games. A brief podcast about hobby board games, recorded by English professor Brendan Riley on his walk home from the train. Join us for a stroll as we discuss mechanisms, gameplay, theory, and topics of the day. The Rattlebox Games podcast is a biweekly general interest podcast about tabletop games, hosted by Rob Huber and Brendan Riley of Rattlebox Games.